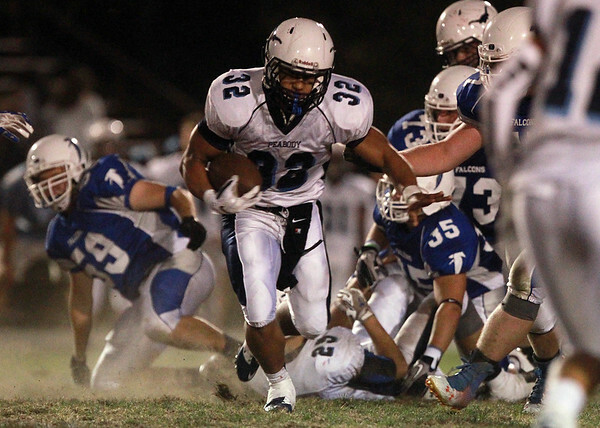 Peabody junior running back Doug Santos bursts into the open field against Danvers on Saturday evening. DAVID LE/Staff photo. 9/27/14.